Non-fiction is literature that is not fictional. It explains something through a specific text pattern. 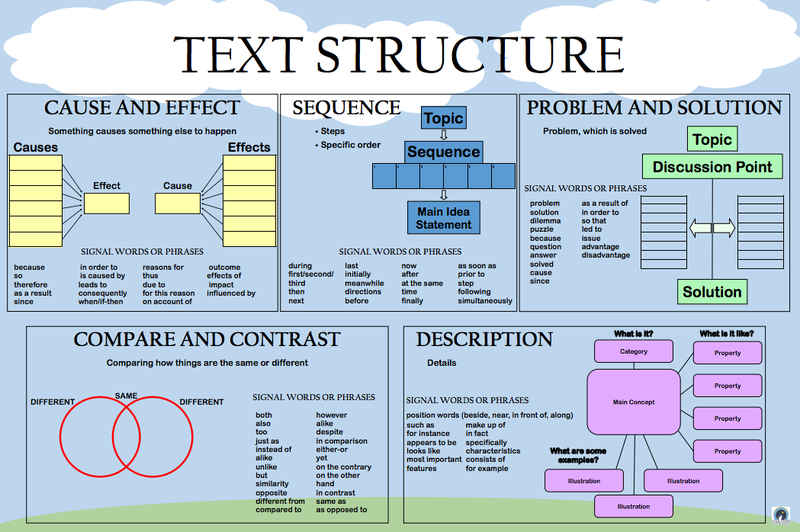 Knowing the structure of the text will help the reader understand what is being read. Why is content reading (informational text) more difficult? It is difficult because it requires knowledge of specialized vocabulary, background knowledge, and knowledge of nonfiction reading strategies and text structures. Readers need to monitor the text for meaning and judge the importance of what they are reading while remembering new concepts.